The Nokia 8.1 is a rebranded Nokia X7, and we are not complaining. The device ticks all the right boxes for a mid-range smartphone, although, it does not break new ground. 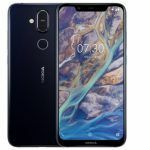 HMD Global has launched its new Nokia 8.1, which puts to rest any doubts about the phone being any different from the Nokia X7 that is sold in China. The Nokia 8.1 is a rebranded Nokia X7, and we are not complaining. The device ticks all the right boxes for a mid-range smartphone, although, it does not break new grounds. 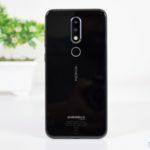 Looks like its purpose is to further set the trend in motion by the Nokia 6.1 Plus (review), which is to attract mid-range buyers with a beautiful design, commendable build quality, value-for-money specifications, and a dependable Android One experience. 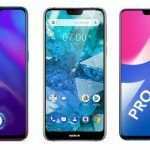 So, let us compare the new Nokia 8.1 with its siblings in the mid-range, the Nokia 7.1 and Nokia 6.1 Plus, and see what’s new and different in the handset. The Nokia 8.1 was unveiled in Dubai yesterday with a price tag of EUR 399. This translates to roughly INR 31,900, and we can expect a similar price tag for the handset when it arrives in India on December 10. The Nokia 7.1 sells for INR 19,999, while the Nokia 6.1 Plus costs even less, at INR 14,999. 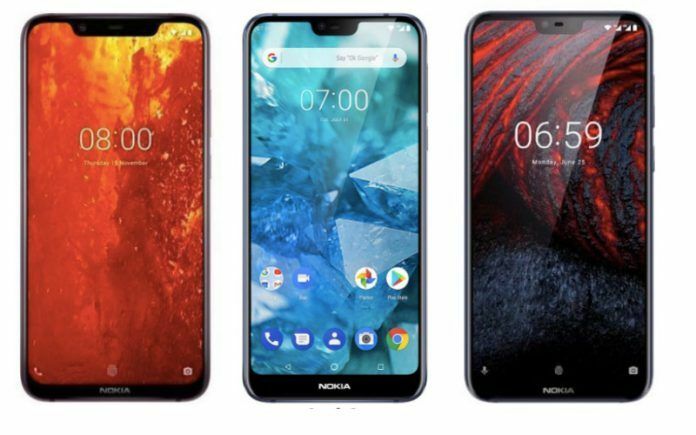 As you can see, all three of these handsets technically fall under the mid-range category, but the Nokia 8.1 will end up competing with somewhat premium and the flagship killer category of handsets too. For instance, the Asus Zenfone 5Z (review) offers a flagship chipset experience with 8GB of RAM at INR 31,999. Nokia 8.1 is built with the same design philosophy as the Nokia 6.1 Plus and Nokia 7.1, with a display notch and a glass back. These three handsets are also light in weight, with aluminum frame and sleek bodies. Also, thanks to the notch, the size of these devices is kept in check, while you still get tall displays. The Nokia 8.1 has a 6.18-inch display, which is of IPS LCD type and flaunts Full HD+ screen resolution (2280×1080), same as what we have seen on the other two. The size of the display is smaller on the Nokia 7.1 and Nokia 6.1 Plus, measuring about 5.8 inches. You get HDR10 support with the Nokia 8.1, as you do with Nokia 7.1. The notch on the Nokia 8.1 is larger than the notch on the other two handsets, but the device still achieves a decent 81.5 percent screen-to-body ratio. The pixel density at 408 ppi is a bit lower than the 432 ppi you get with Nokia 7.1 and Nokia 6.1 Plus, but it is still good. Both the Nokia 6.1 Plus and Nokia 7.1 are powered by Qualcomm’s Snapdragon 636 chipset, and this is where the Nokia 8.1 is set a class apart. 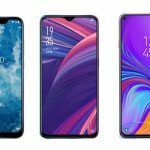 It is powered by Qualcomm’s best mid-range chipset, called Snapdragon 710 AIE, and that will make the handset significantly faster than its more budget-friendly siblings. Right out of the box, the Nokia 8.1 runs Android 9 Pie, but with the other two being Android One phones, they will get their share of the pie too. 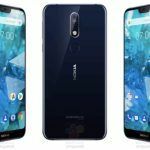 In fact, in the last week on November, Nokia started rolling out Pie for Nokia 7.1, and we expect that Nokia 6.1 Plus too will be given the upgrade soon. As far as the RAM is concerned, all three of these handsets get 4GB of RAM with 64GB of internal storage, and upto 400GB of additional storage with microSD card via SIM 2 slot. While all three of these phones offer dual-camera setup, the Nokia 8.1 offers the best camera gear. It has the same Zeiss optics and 12MP primary camera as the Nokia 7.1, but a 13MP secondary sensor instead of the 5MP depth sensor we see on the Nokia 7.1 and Nokia 6.1 Plus. In addition, the Nokia 8.1 gets Optical Image Stabilization and dual-pixel technology, and a solid 20MP front camera that uses large pixels, whereas the front camera on the Nokia 7.1 is 8MP (wide angle) and the Nokia 6.1 Plus gets a 16MP selfie shooter. 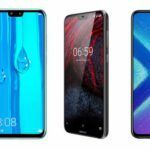 Battery wise, HMD Global was smart enough to equip all three handsets here with fast charging, but while the Nokia 7.1 and Nokia 6.1 Plus get a 3060mAh battery, the new Nokia 8.1 gets a larger 3500mAh battery. HMD Global says the battery can give 11 hours of continuous video playback, and 22 hours of talktime. Connectivity features are also common for the three handsets, with Nokia 8.1 also getting a Type C USB 2.0, dual-band Wi-Fi, Bluetooth 5.0 Low Energy, NFC, and a rear-mounted fingerprint sensor. As you can see, the Nokia 8.1 only gives a nudge to the momentum already set by the Nokia 6.1 Plus and Nokia 7.1, and that is not a bad thing at all. However, if you are looking for something entirely new, then you can check out the Samsung Galaxy A9 (2018) in the same price range, for the sake of the excitement of owning the world’s first quad camera phone. As we said before, even the Asus Zenfone 5Z is a good bet in this price range, and so is the Armored Edition of the POCO F1 (review). But if the design of this handset is what you like best about it, then it makes for a sensible choice. We don’t know what colors the handset will come in for the Indian market, but expectation is that there will be three color options: silver, dark blue and dark red.